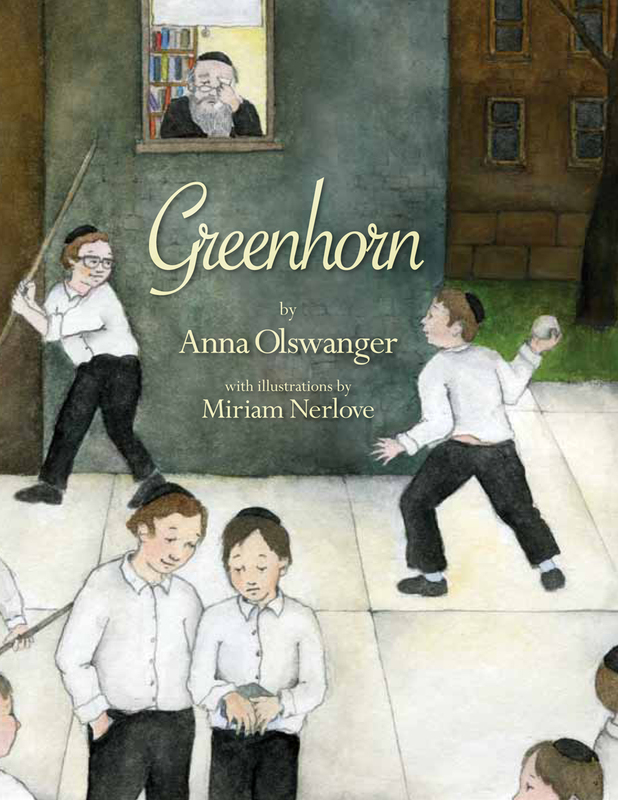 Today we are excited to feature author and agent Anna Olswanger and her middle grade novel, GREENHORN, with illustrations by Miriam Nerlove (New South Books 2012), which was also made into an independent film of the same name. I started my writing life as a playwright, and during graduate school in playwriting, I went to London to live for a few months and to try to find a group of actors to write for. While I was in England, I made a trip to one of the university towns and visited a large bookstore (this was in the days before Barnes and Noble). Wandering throughout the store, I ended up in the children's book section where I rediscovered picture books, and realized that between the covers of each book were the script, costumes, lighting, and stage set, everything in the theater that I thought I had needed to produce a play. Only, I didn't need a theater. That led to my writing my first children's book, the picture book SHLEMIEL CROOKS. Congrats on your second book, GREENHORN. Tell us about it and what inspired you. I had originally self-published GREENHORN as a miniature book for collectors. A few months after I sent it to the publisher of my first book as a holiday gift, she called to say she wanted to publish it. As an agent, I attract a fair number of queries about Holocaust-related books because of my interest in Judaica. I rarely ask to see these manuscripts, and I’ve never taken on the authors as clients. It's difficult to sell Holocaust-related work. Not many editors, especially of children’s books, want to buy books about Jewish suffering. So, when I asked my publisher why she wanted to publish Greenhorn, she said it was a provocative little book, and the story's image of a tin box and its contents haunted her. That made me think about why I wanted to tell the story. I first heard it on a tour bus in Israel in the mid-1980s. I had traveled there on a group trip with my synagogue, and as we approached Jerusalem, the rabbi told us about a little boy who had lost his parents in the Holocaust, who wouldn’t speak when he came to live at the Brooklyn yeshiva where the rabbi was in the sixth grade, and who wouldn’t let a tin box out of his sight. The story about the little boy stayed with me for years. My rabbi, a witness to the story, was preoccupied with leading his large congregation. He wouldn’t write the story. And I had no idea where the little boy was 40 years later, so I couldn’t ask him to write the story. Was it my responsibility? I didn’t think so. How could a childless woman, born in America after the Holocaust, whose ancestors had left Eastern Europe in the 1890s, long before the Holocaust, tell the story of a little boy who couldn’t let a tin box out of his sight? But I knew the story was important and that I wanted to do it. As I began to write the story of Greenhorn, I also began to discover what I was writing about. Because when I really listened to this story, I heard in it something deeper than suffering and loss. The little boy, who wouldn’t speak when he came to America, who wouldn’t let the tin box out of his sight, made a friend. Later, he agreed to live with his friend’s family. And then he let go of his box. The little boy moved on. The story had hope. GREENHORN has been described as "a perfect high-low choice." What does "high-low" mean and did you set out to write a high-low book? Hi-Lo is a term used to describe high-interest, low-readability books. I didn't set out to write a high-low book. I only knew that I wanted to honor the story I heard and not embellish it. I didn't want to invent any backstory or previous history for the character I named Daniel because I wouldn’t have been able to honor what he went through if I had invented his past. Rabbi Rafael Grossman, who was the basis of the “Aaron” character and who told me the real story in the 1980s, didn’t remember every detail forty years later, and certainly not seventy years later when the story was about to be published and I was revising it one last time, so I had to fictionalize parts of what he told me. Because I was concerned about the ethics of creating fiction based on the Holocaust, I focused entirely on the events I heard, and refrained from inventing anything from the time of the Holocaust itself when Daniel may have been in a concentration camp. All that meant that I was writing a sophisticated story, but in a simple way. That made it a high-lo book. You are also an agent in addition to being an author. Are you open to submissions. If so, what is on your wish list and how can people query you? What are the 1-2 key pieces of advice you give to aspiring authors? Be appreciative. You may not get an offer from one of the Big 5, but be grateful for the offer you might get from a smaller, independent publisher. Your career will grow. I'm not sure. That I'm left-handed? 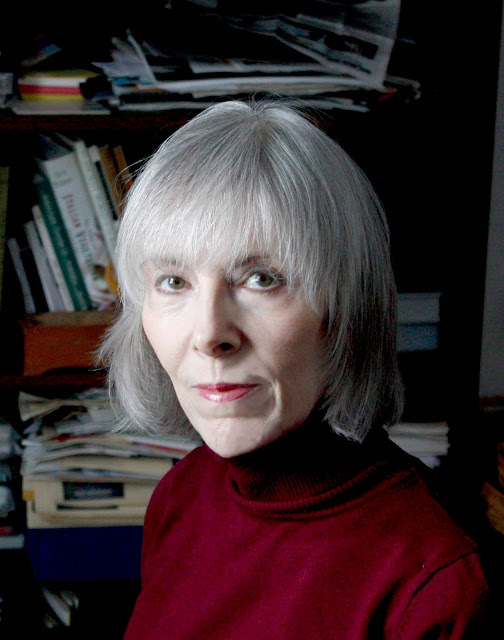 After nine years at Liza Dawson Associates in New York, Anna Olswanger launched her own agency Olswanger Literary LLC in 2014. Her clients include the New York Times best-selling author Michael Hall and the Newbery Honor Book winner Vince Vawter. Her first children's book SHLEMIEL CROOKS is based on a Yiddish newspaper article she uncovered about the attempted robbery of her great-grandfather’s kosher liquor store in St. Louis in 1919. SHLEMIEL CROOKS is a Sydney Taylor Honor Book and PJ Library Book. In 2011 the Kaufman Center in New York adapted SHLEMIEL CROOKS into a musical for families, which premiered at Merkin Concert Hall. Anna's second book for young readers is GREENHORN, an illustrated children’s novel inspired by the true story of a young Holocaust survivor. It has been made into an independent film. I'm intrigued by both the book and movie! Fascinating. Now that I'm I've been living in Israel, I'm even more intrigued. Thanks for sharing. I know of your book, but had not seen the film trailer. Sounds like a very heart-felt story. Thank you for sharing with us about it and about your experience in writing it. It' great to get picture books that explore sensitive subjects. Thank you for a high-low! We are a middle school library that is constantly searching for high quality high-low books four our students. This is such an important niche. Sounds like a fascinating book and story! Thanks for sharing with us!